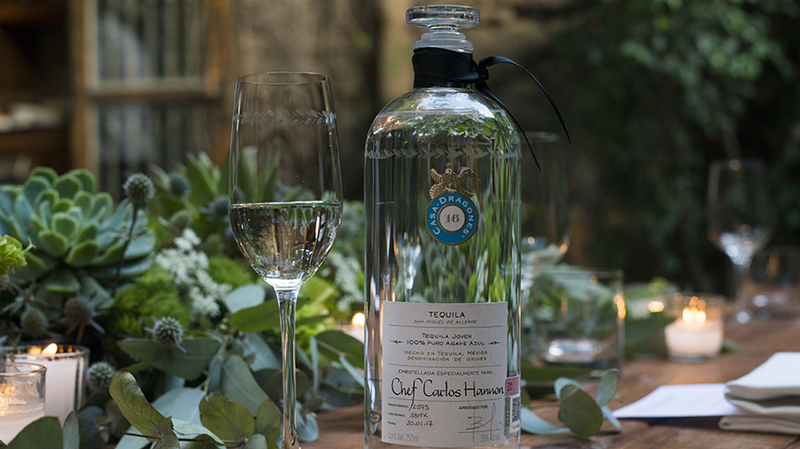 Carlos Hannon, Executive Chef at Rosewood Hotel in San Miguel de Allende, designed a four-course tasting menu that draws from Tequila Casa Dragones Joven’s unique taste profile. 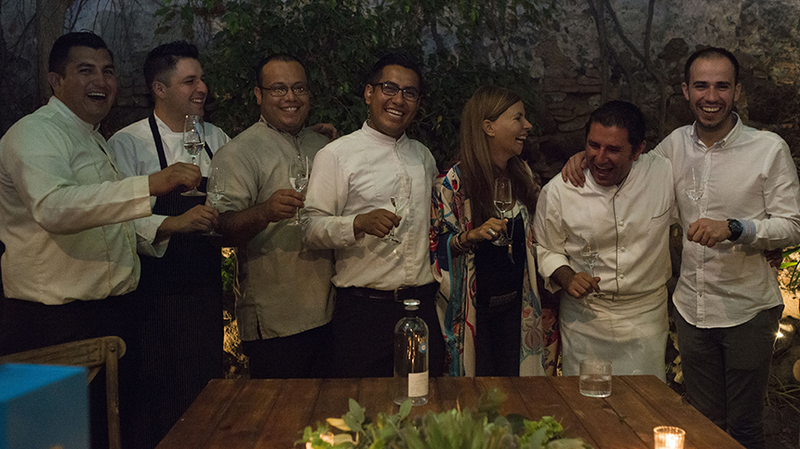 Hosted at La Casa Dragones in San Miguel de Allende, the menu featured a black ceviche made with Hamachi, a warm salad made from milpa-based produce, a suckling pig confit, and a sweet goat cheese dessert made with a tomato base. 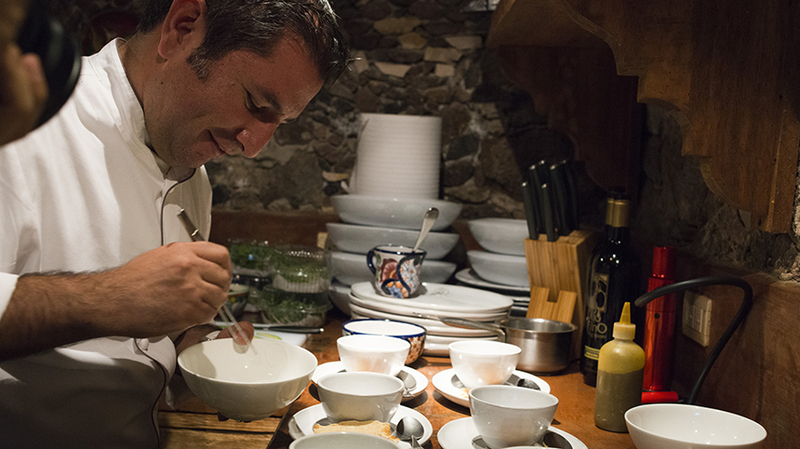 In his menu, Hannon looks to highlight Joven’s distinct notes. 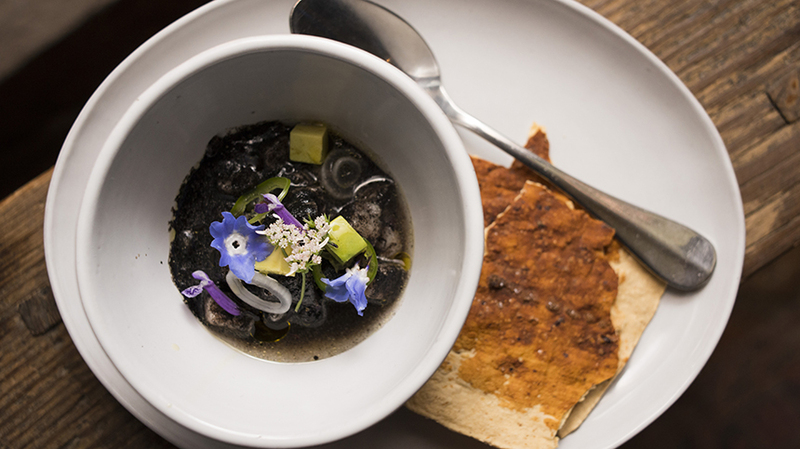 The ceviche, for instance, accentuates the tequila’s citrus aromas. 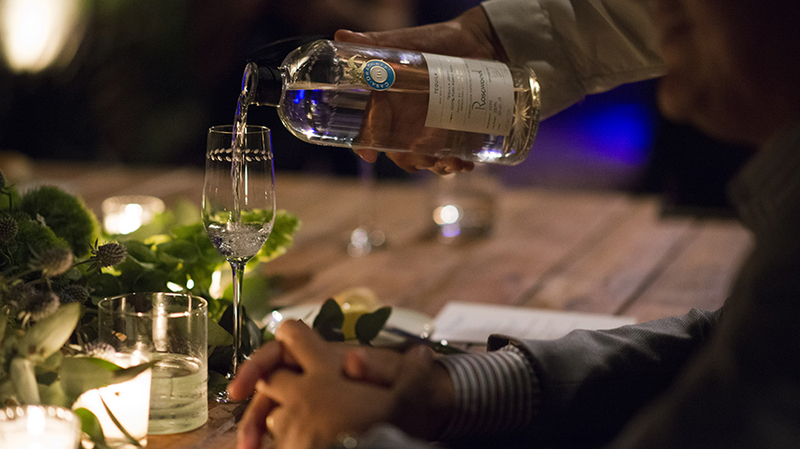 Casa Dragones Joven’s spiced undertones shine through when paired with the more neutral flavored salad. Hannon balances the fatty and savory qualities of the suckling pig with a vanilla-infused cauliflower puree, which highlight the tequila’s hints of vanilla. The dessert also complements the subtle hazelnut notes in Joven. 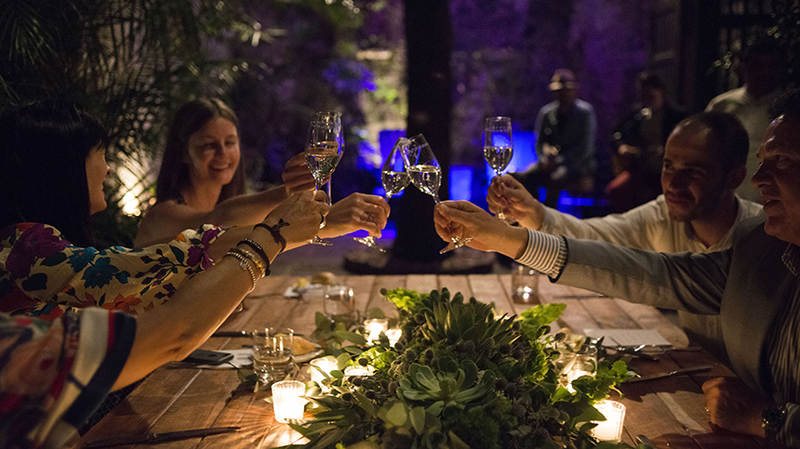 Hannon’s tasting menu, rich in flavor and ingredients, makes for a beautifully executed dinner that thoroughly explores Tequila Casa Dragones Joven’s complex taste.